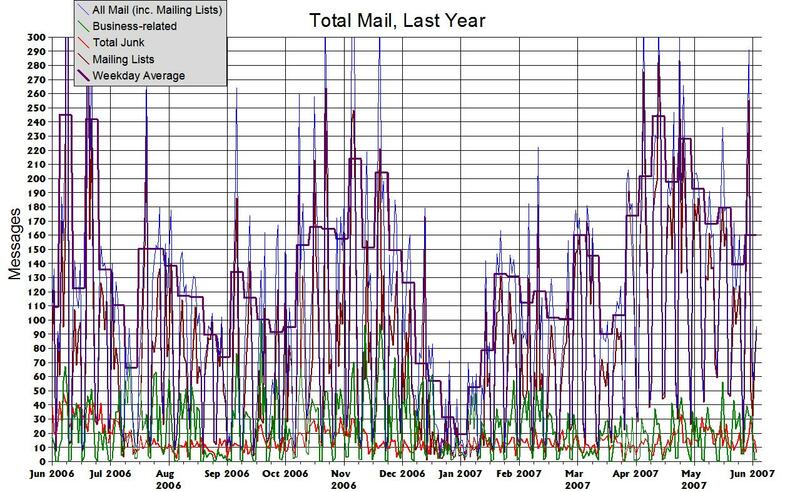 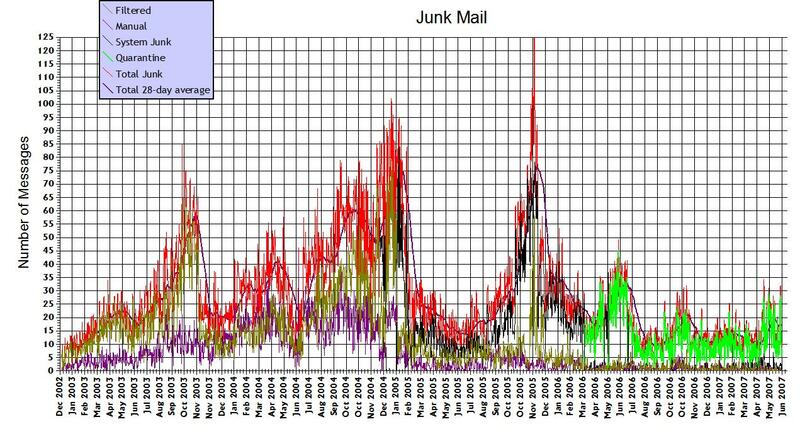 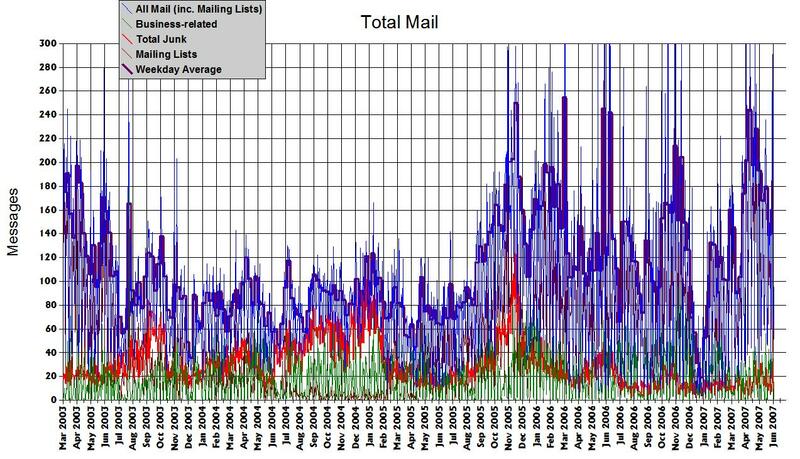 The mailbox from which these statistics were compiled has been shut down, and so there will be no further updates to this page. 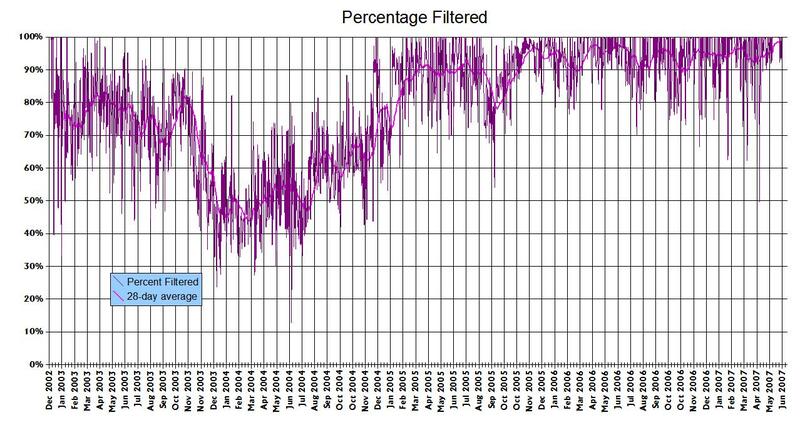 However, I do intend to add some annotations to explain some of the more interesting data points. 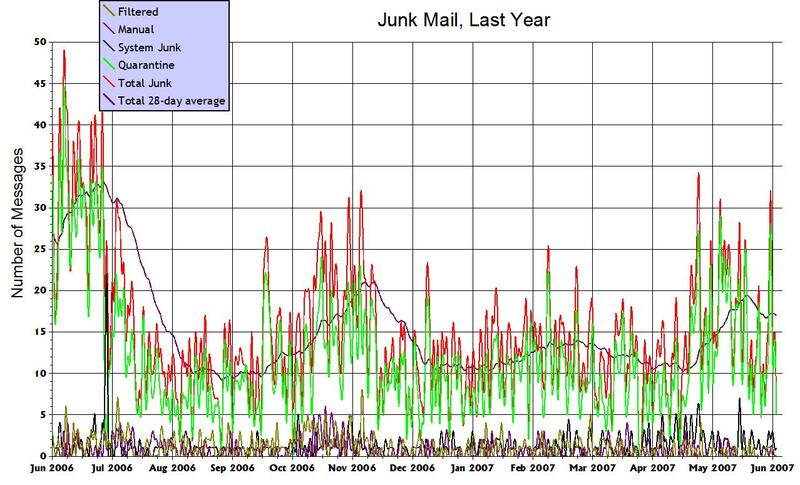 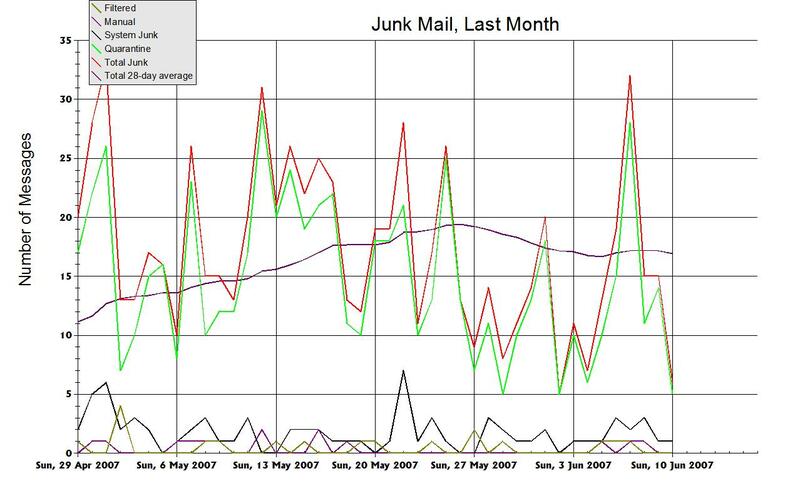 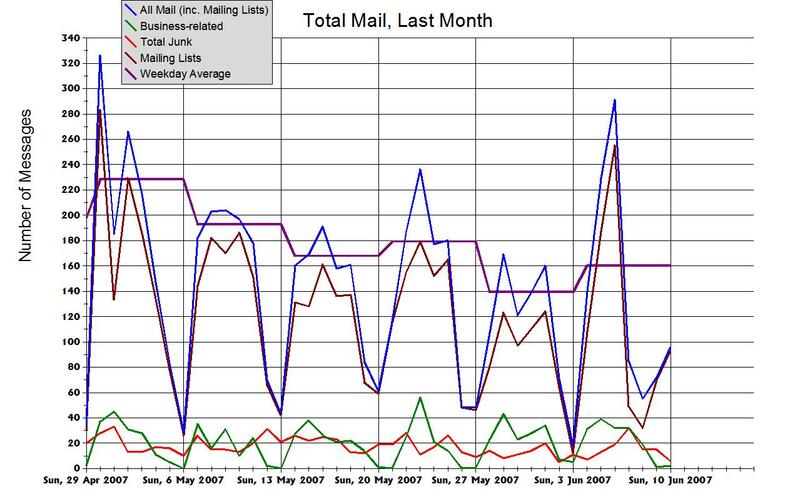 See the full Open Document spreadsheet: Download junk-mail-stats.ods or view in HTML format. 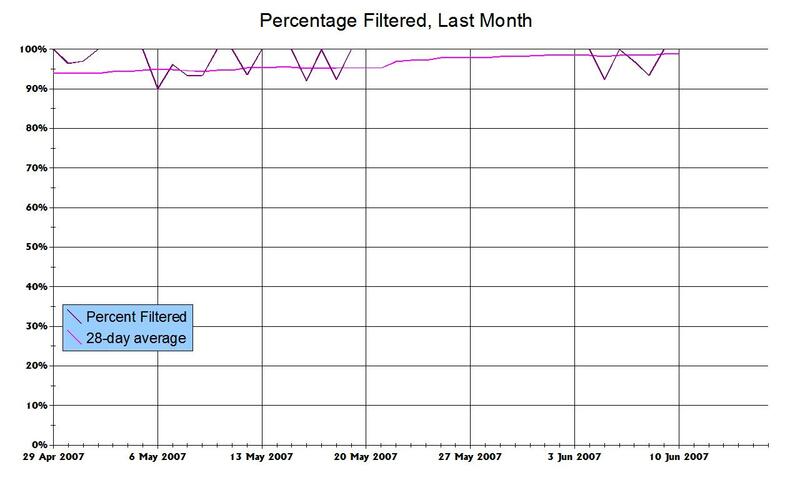 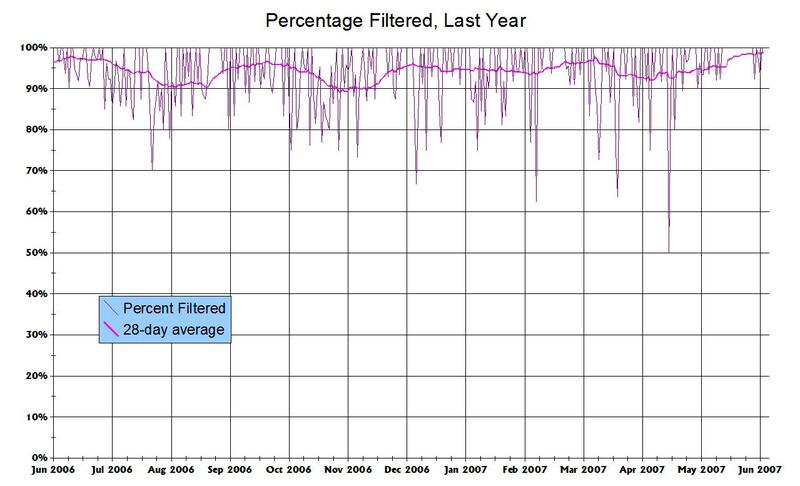 Old (September 2003) stats with annotations.